Innovative programming is needed to improve diets among low-income individuals. Incorporating a healthy food access program within existing Extension community nutrition education programming at the local government level may be an effective approach to improve access and eating behaviors. Program development should be informed by the community nutrition program educators (herein educators) who would implement this type of program. We sought to understand educators’ perspectives as part of a formative evaluation to guide the development of a program pairing reduced price community supported agriculture (CSA) membership with tailored educational programming. Educators from four U.S. states (one southeastern, two northeastern, and one northwestern) participated in in-depth interviews and focus groups. These were audio-recorded with detailed hand-written notes, transcribed verbatim, independently double-coded using a detailed code­book, and analyzed for themes and salient quotes. Feedback was linked with the Diffusion of Innova­tions model and RE-AIM framework. Educators had mostly positive initial thoughts of the pro­posed food access program, suggesting that it would complement current education program­ming. Educators suggested making the CSA shares reasonably priced. They also suggested offering pickup and education classes at a convenient loca­tion. Educators wanted additional training and resources in order to facilitate the program, but thought the existing infrastructure and resources of Extension and local government would help in implementation and sustainability. Local govern­ment priorities should seek to meet educator interests and needs given the potential for more successful program outcomes. 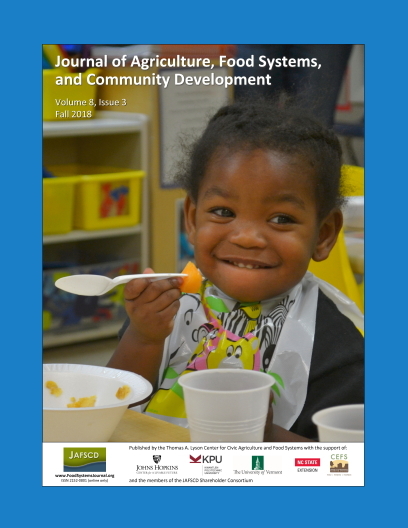 These findings could be used to inform the development of food access programming within community nutrition education programs.